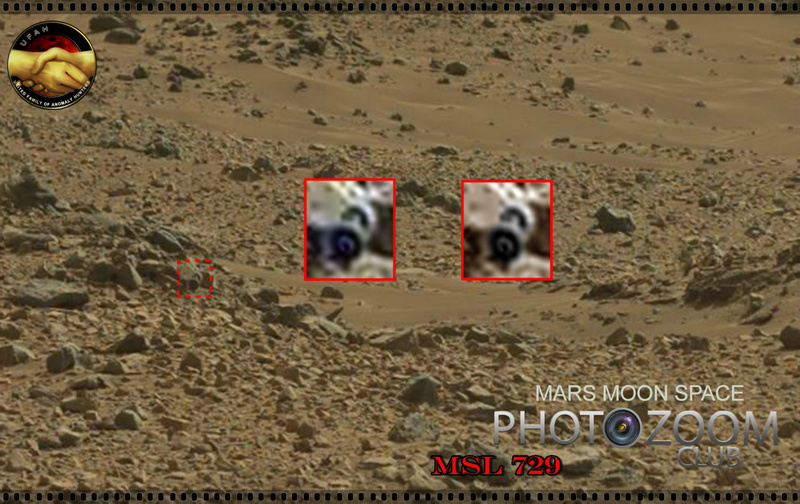 HERE IS A PICTURE SENT BACK by the Mars Rover. 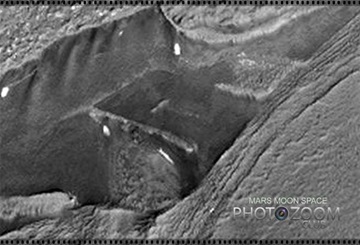 When you blow it up, it sure looks like a building / fortress / secure place of some type. 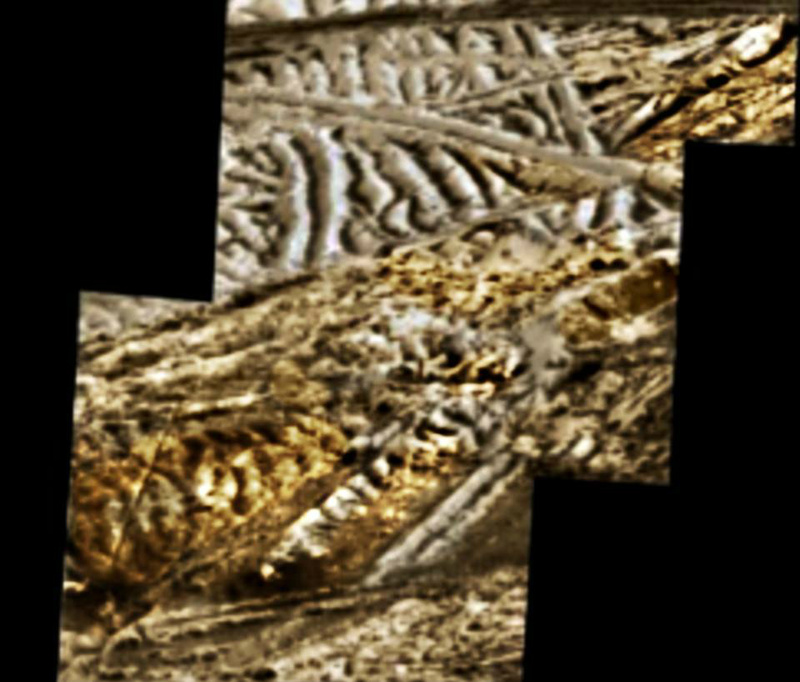 Hey folks, this is not rock. 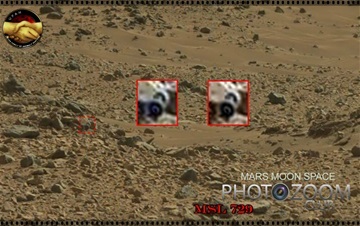 ANOTHER PHOTO FROM the Mars Rover. 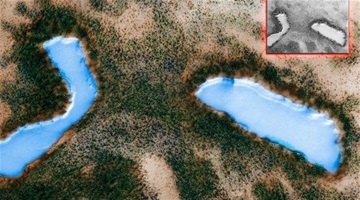 It sure looks like a lake and some Green vegetation around it. You know what "Green" means. That is Chlorophyll. The plants "eat" CO2, and put out O2. That is why the sky on Mars is Blue, when the filter NASA puts on it is removed. 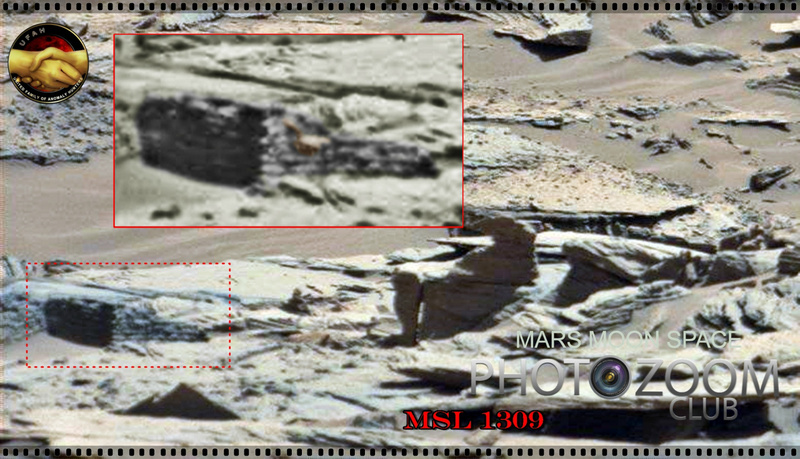 THE MARSEN ROVER AGAIN. When you blow up the pictures, you find all kinds of strange things. This looks like the walls of a building. 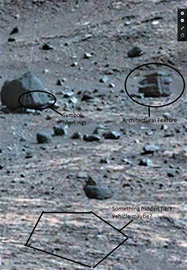 It is surely not just natural Rock. I AM SORRY FOLKS. THERE HAS BEEN AN ERROR IN THE WEB PROGRAMMING, AND I HAVE NOT BEEN ABLE TO GET IN TO ADD NEW MATERIAL FOR A WEEK. The web host was a little slow - - . 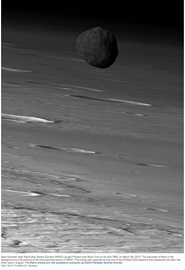 Well, here is a picture of "Phobos" a Marsen Moon. 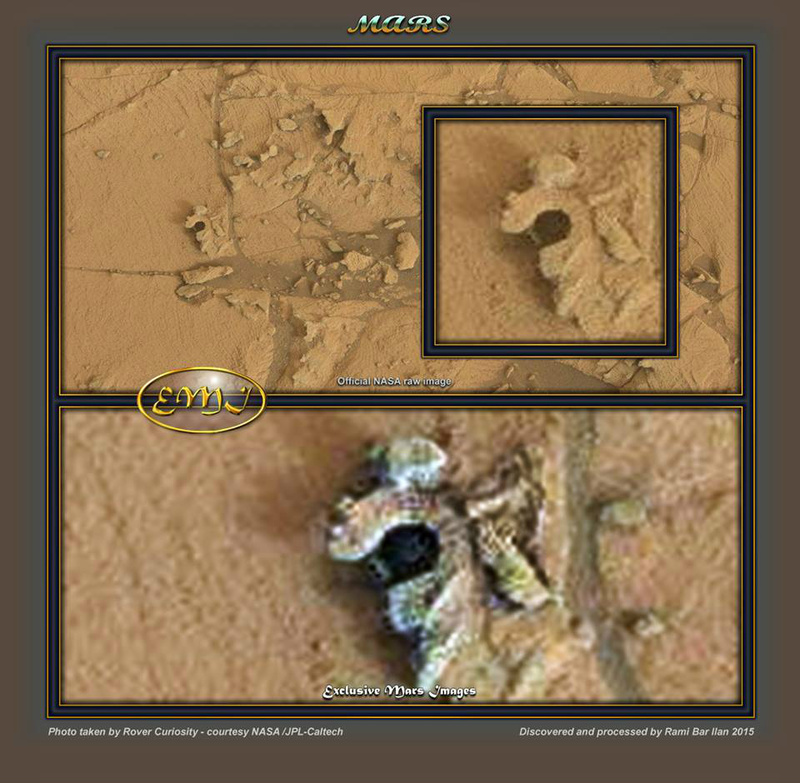 THIS IS SUPPOSED to have come back from Curiosity Rover on Mars, but - - is it just NASA that is trying to make a fool of us ? Some of these things are pretty hard to swallow. 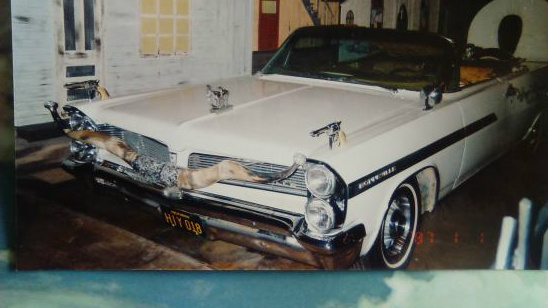 WHEN YOU GO TO THE "ROY ROGERS MUSEUM", you will find this automobile there. 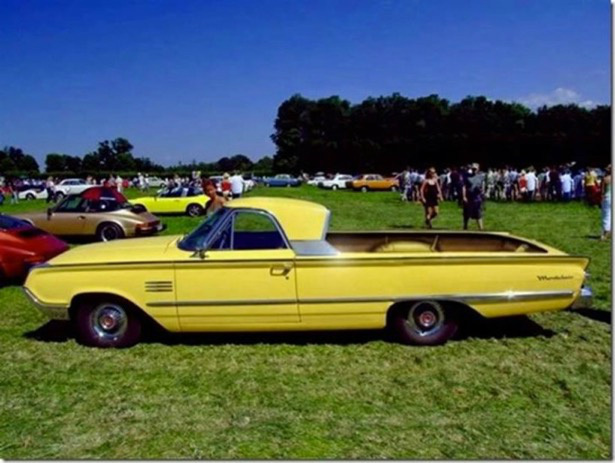 It was Roy Rogers' car, and he drove it. I guess it fit right in, in the 1950's and 60's - - guns and all. They were not so constipated about guns back than. 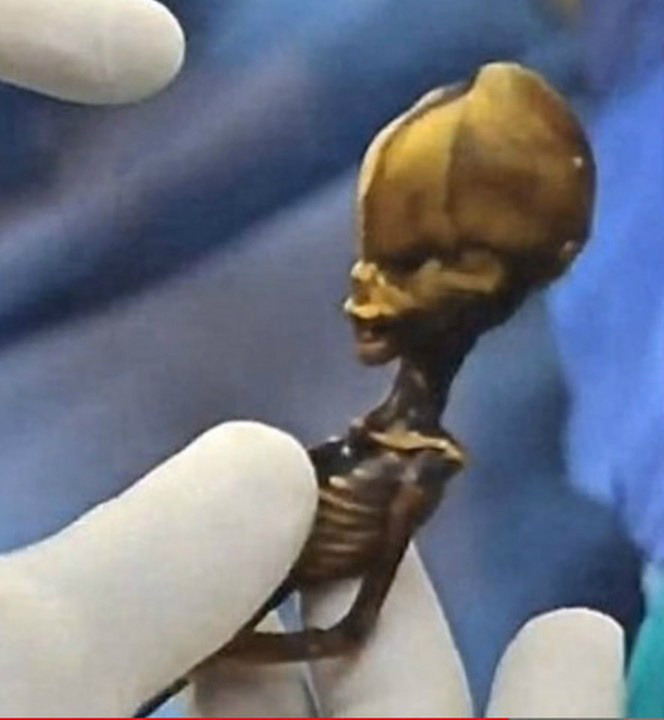 HERE ARE SOME MORE PHOTOS of the 6 inches long alien skeleton found in the Atacama Desert in Chile, South America. I have had several people tell me: "Ah, it's just a good forgery. Probably made of wood." OK, click to the next photos, and say that again. OK, THE ATACAMA DESERT SKELETON AGAIN. 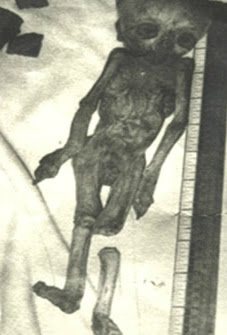 Here is an x-ray of the skeleton. We can clearly see the bone structure, the brain inside the skull, partial organs. Pretty hard to make this from "wood". HERE IS A CLOSE UP face shot of the "Atacama Desert Alien Skeleton". 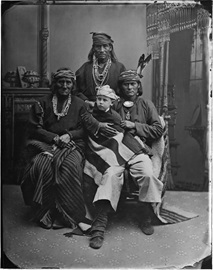 It is an interesting photo. 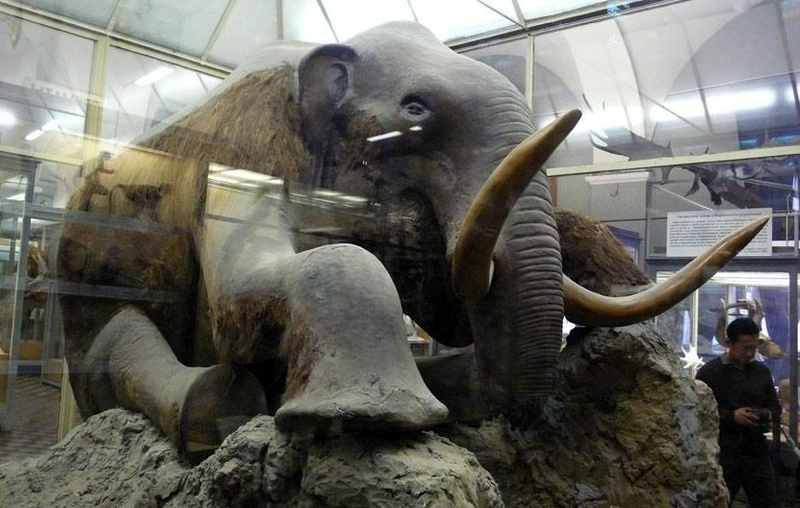 THIS IS THE Siberian "Beresovka Mammoth". 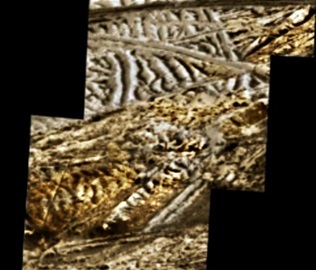 It is dated to be about 10,000 years old. 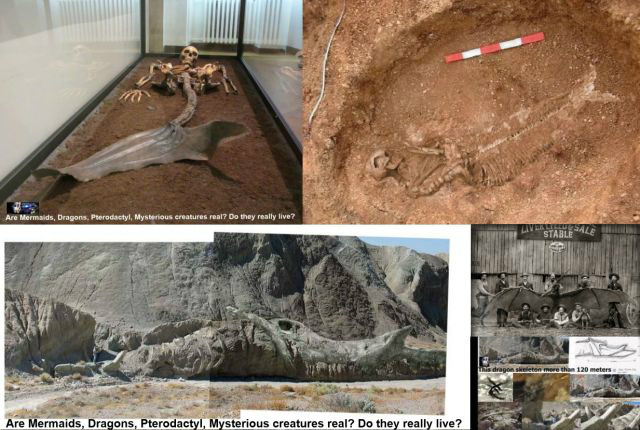 It was sitting in a sand and clay pit, extremely well preserved to the point the meat was edible. The Mammoth had broken its leg by apparently falling off a cliff into the sand pit, so it could not move around. HERE IS ANOTHER PICTURE of a Fairy found in Mexico. 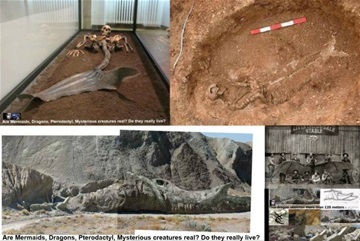 As you see they have long arms and long legs, and a tail. At the end of the tail, there is a stinger. 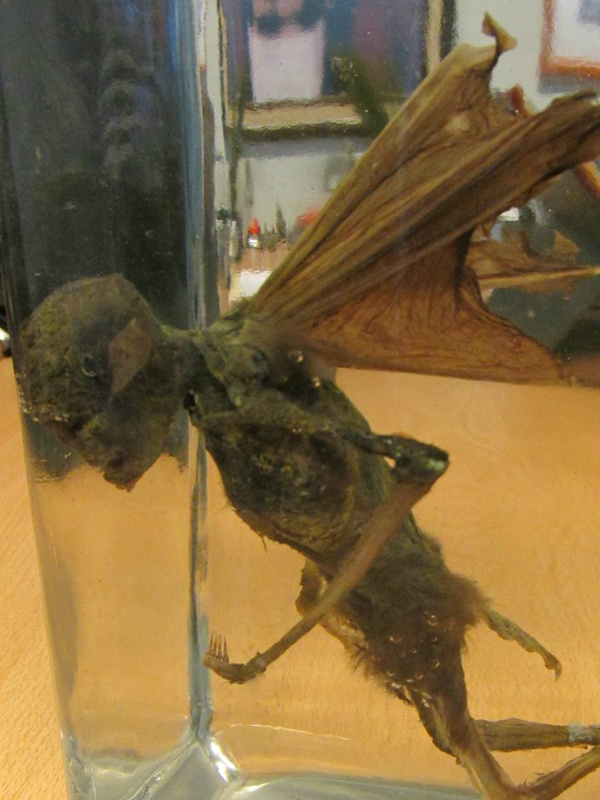 This Fairy was also X-Rayed, so they could see the bone structure under the skin. No way to fake that. 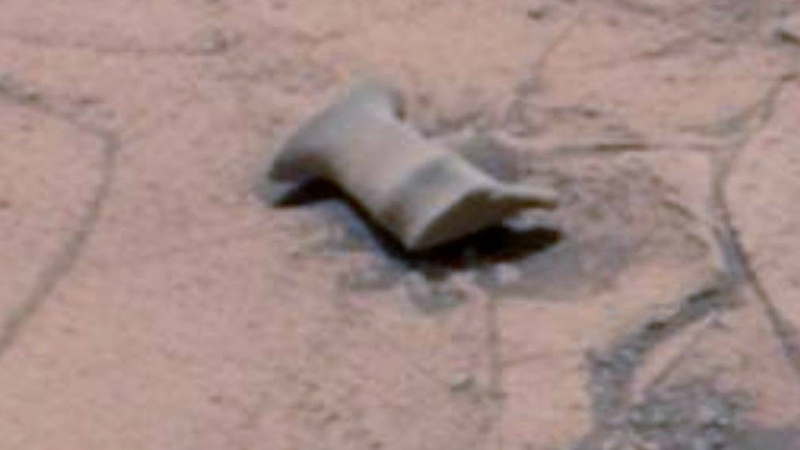 AN ARTIFACT ON MARS ? Maybe nothing, but I place it here for you to ponder. What is it ? 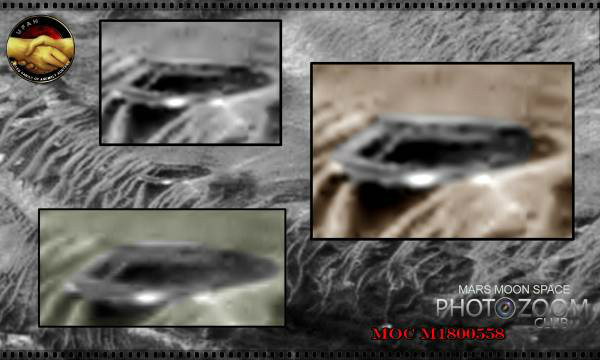 HERE IS A CLOSE UP photo o a Flying Disc. 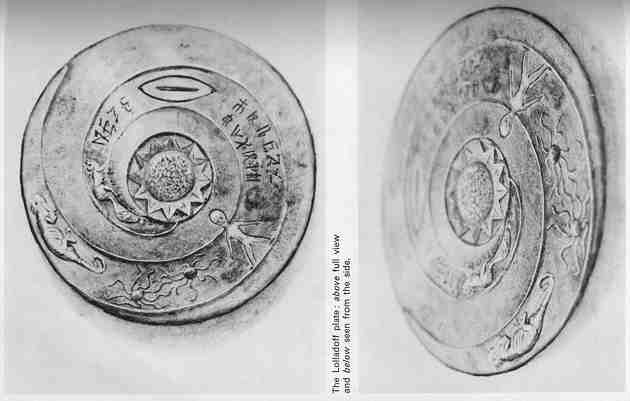 It has been around for a long time. 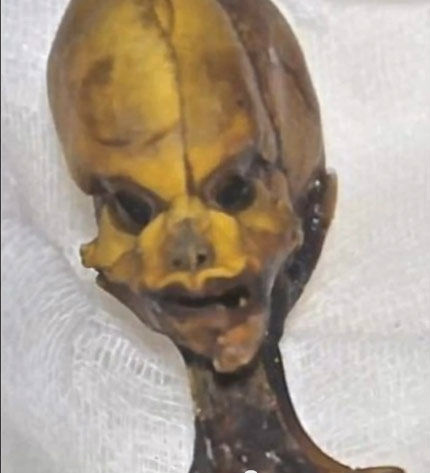 THIS IS A "GRAY" found in a cave in the Himalayas. 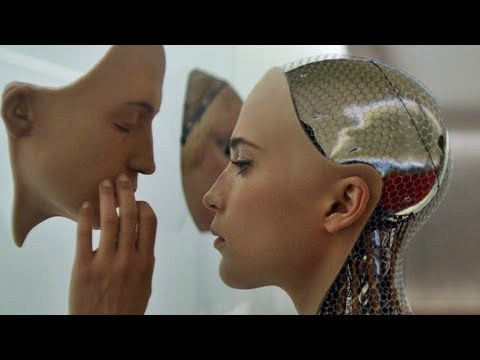 Again, not found to be human. HERE IS ANOTHER "GREY". 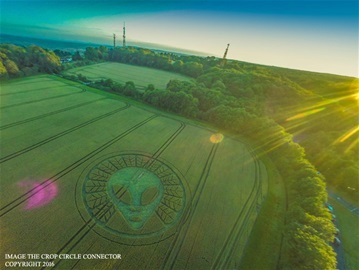 This photo is coming out of Russia. It is supposed to be leaked from the Russian "Area 51", which they call "Kapustin Yar". 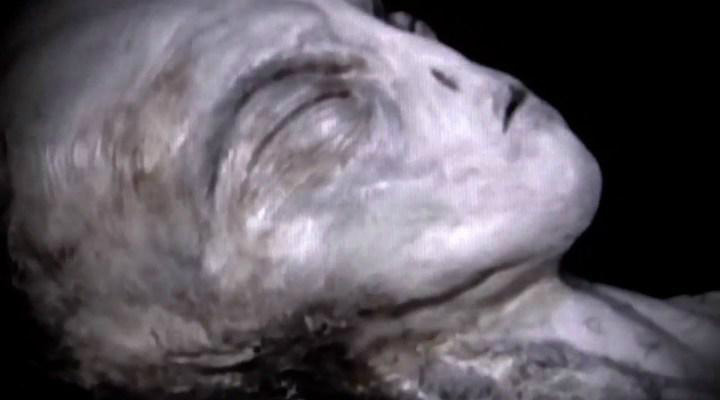 There are many different types of this "Gray" Alien. 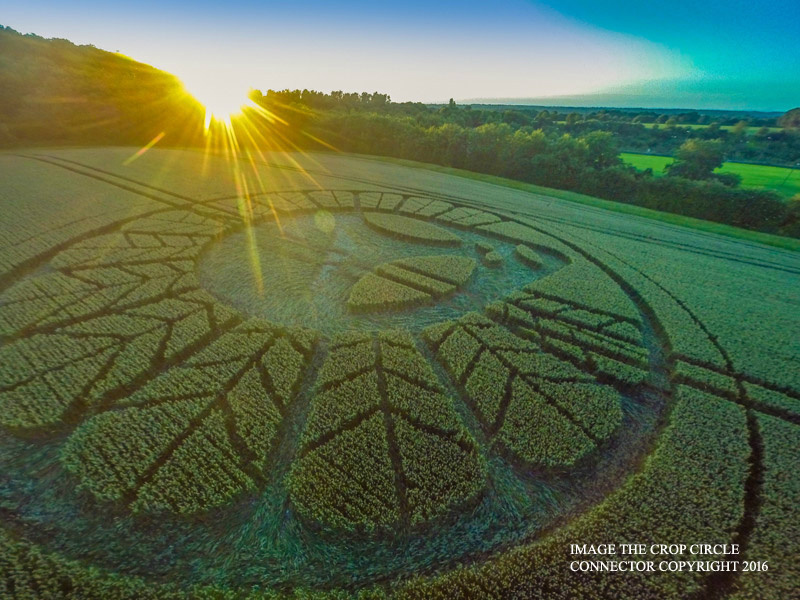 HERE IS ANOTHER photo of the recent Crop circle in England. I have one picture earlier, with more explanations. 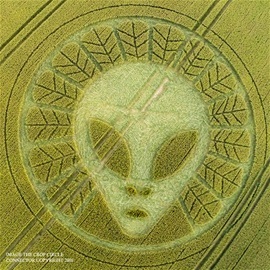 ANOTHER CLOSE UP of the Crop Circle in England. 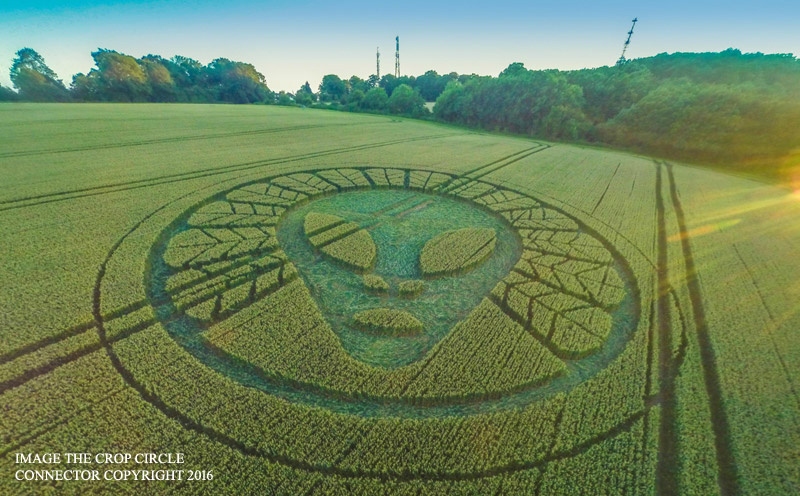 ONE MORE PICTURE of the recent Crop Circle in England. 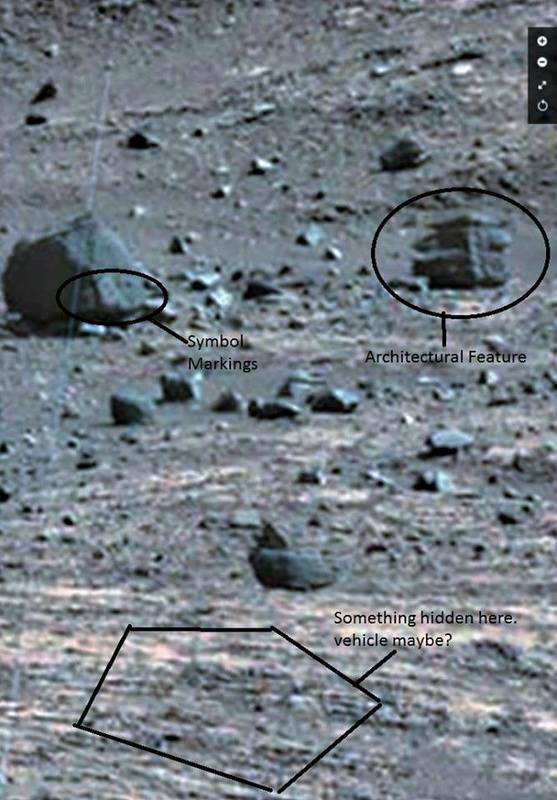 More explanation is in the first photo of it. There are certain tell tale signs of the one made by "us", like broken plants, uneven circles, erroneous distances etc. This one has none of that. It is perfect. HERE IS A "FISH STORY" FOR YOU. Do you like to fish for Bass ? This record has stood since the year 1900. 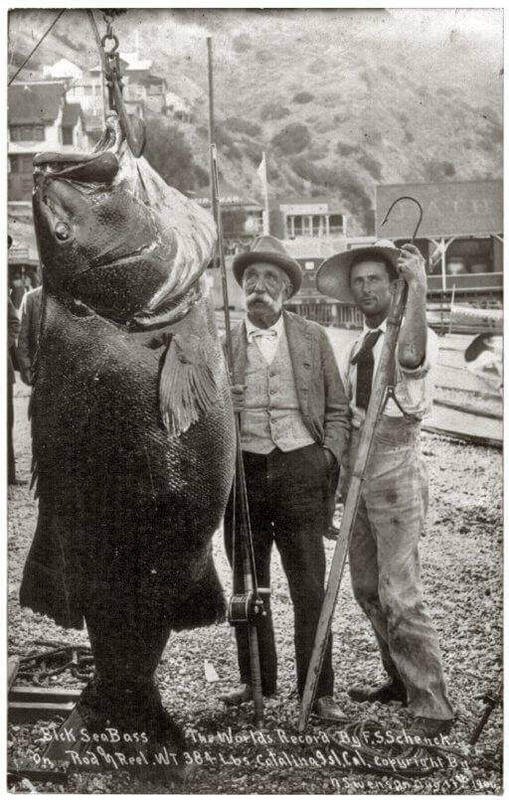 This guy got one at 384 lb. on Catalina Island. 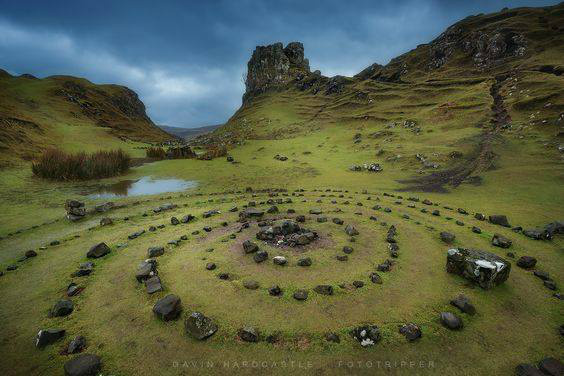 THIS PICTURE IS FROM the "Isle of Sky" in the Highlands of Scotland, dating back to the Druids. 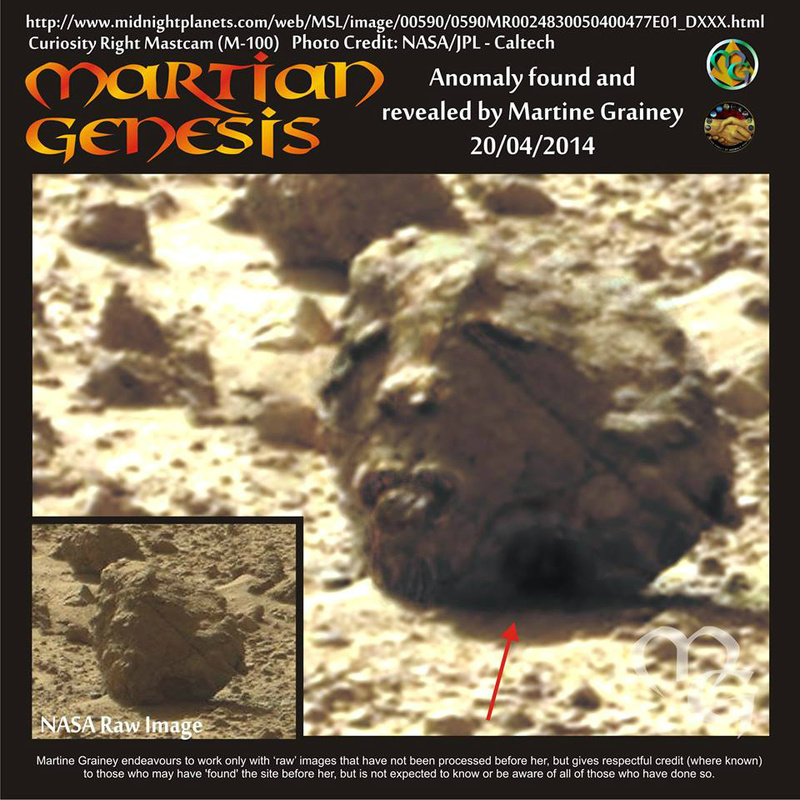 HERE IS AN IMAGE which is supposed to have been brought back from Mars by NASA. What does that look like to you? Do your own research. THIS IS FOR YOU GUYS. There is a new book out. Here you can see the author looking it over for spelling errors. 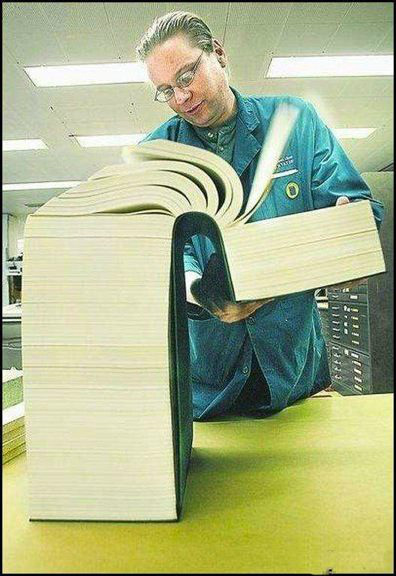 The title is: "Understanding Women". The price is $ 25,500.95, because he only expects to sell 2 of them. Hey, you need a good laugh every day, right. This is it for today. ANOTHER NASA PRINT from Mars. It does not look natural to me. 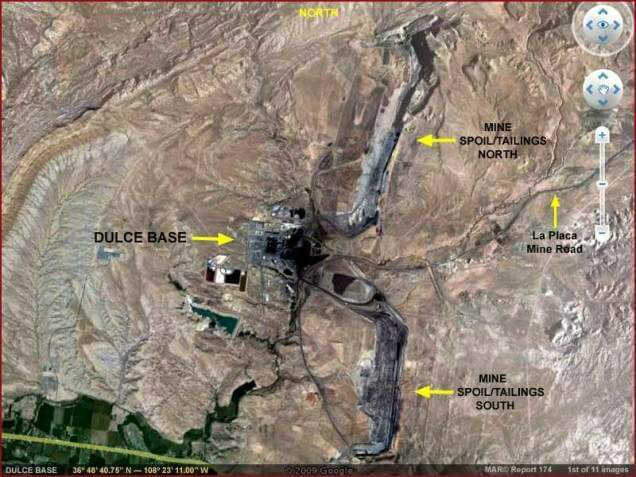 It looks like someone has done "Strip Mining", kind of what we do here. 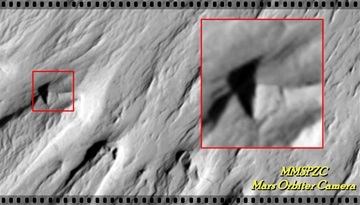 ANOTHER MARS ANOMALY. Could this be a round house ? HERE IS A PICTURE BROUGHT BACK FROM MARS by NASA. 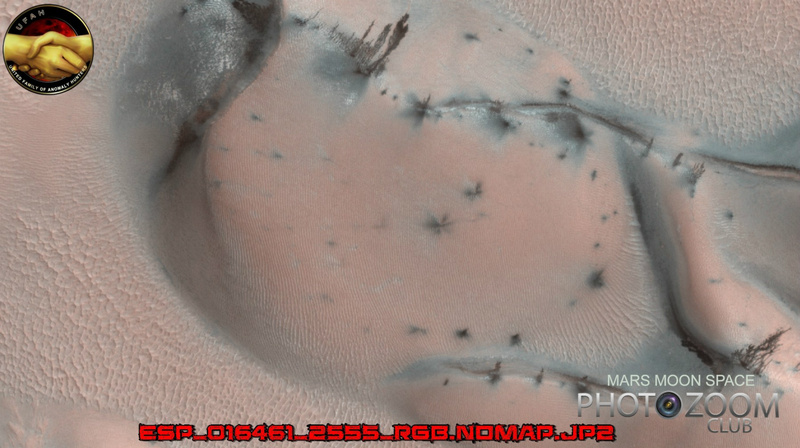 Looks like trees and sand dunes. 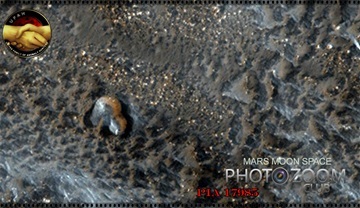 HERE IS A PICTURE brought taken by Mars Rover. 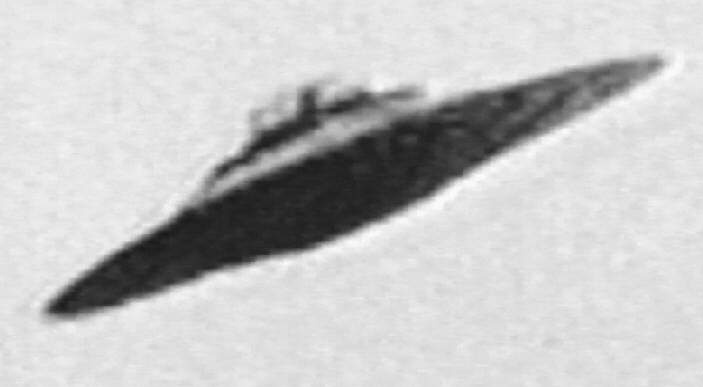 Looks as there are some wheels up there. THERE IS VERY LITTLE text with this photo, but this skeleton of a Mermaid is sitting in a museum overseas in The National Museum in Copenhagen Denmark. And they claim it is the real thing. 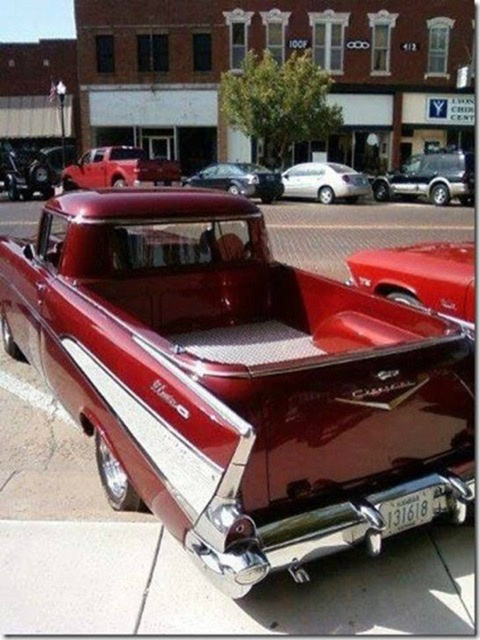 HOW IS THAT FOR A PICKUP TRUCK ? This is a home made version. THE CAR COMPANY never made one like this, so this is a home made one also. 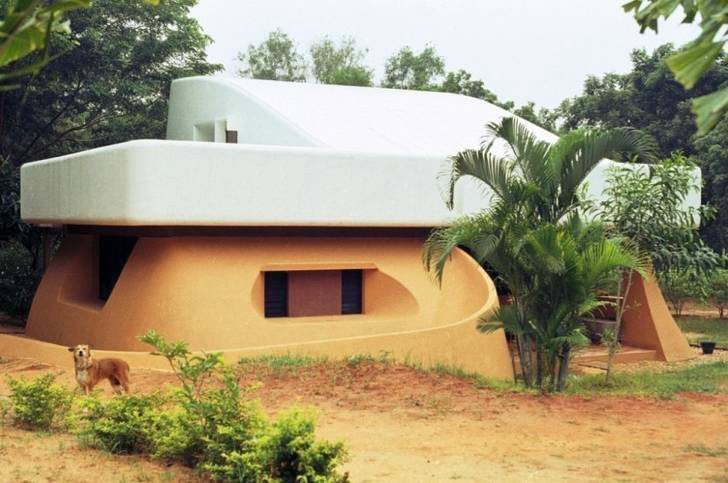 ANOTHER PHOTO from Auroville. This is a typical house. This is the place in Southern India, in Madras, where they have no money, no politics, and no religion. 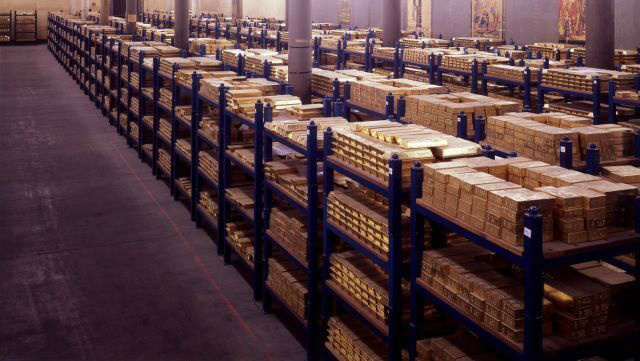 They exist by trading services and barter. There is no unemployment, no tax, no police force, and everyone contributes. 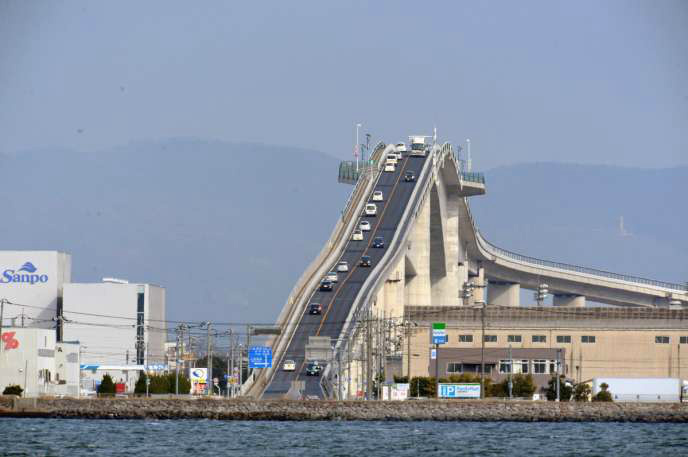 HOW WOULD YOU FEEL DRIVING ACROSS THIS BRIDGE ? 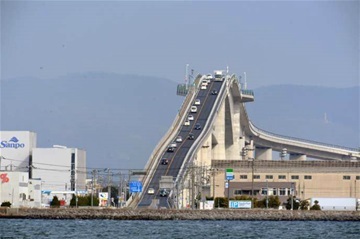 It is the "Eshima Ohashi Bridge". It is built this tall so ships can go underneath it. 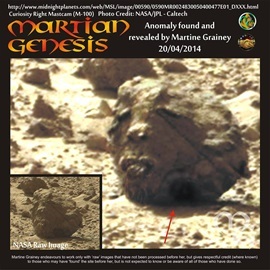 HERE IS A NASA PRINT that was found by The Brian Hopkins Research Society. Does this look like a regular rock to you, and what has it to do on the surface of Mars ? 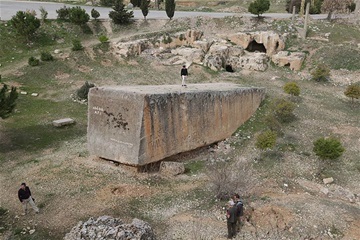 THIS IS ONE of the stones at "Balbec" in Eastern Lebanon. They date back thousands of years. What were they used for, and who were going to move them there ? 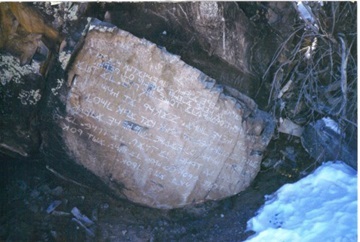 HERE IS ANOTHER ONE OF THE STONES OF "BALBEC". It is 4.32 Meters X 4.05 Meters X 20.7 Meters, and weighs 900 Metric Ton. 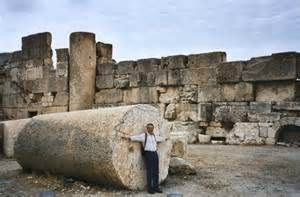 These were building blocks of walls. 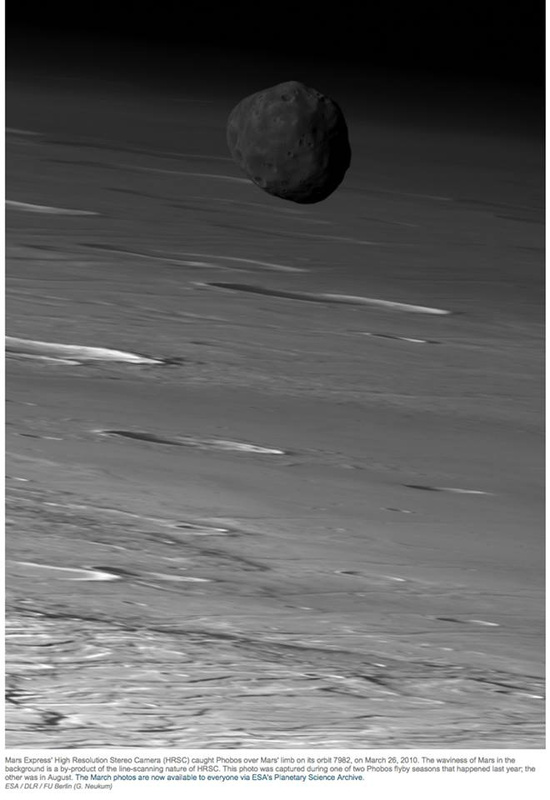 How do you think they moved them there ? HERE IS A SWEDISH RUNE STONE. It is called "The Rok Steinen (Stone)", and is in Ostergotland. 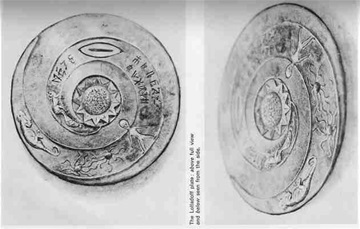 It dates back to the 9th Century. 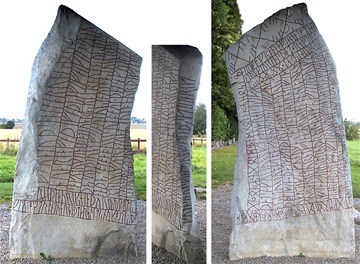 The Rune language has only 16 characters, and this one is the biggest and most detailed Rune Stone in Sweden. 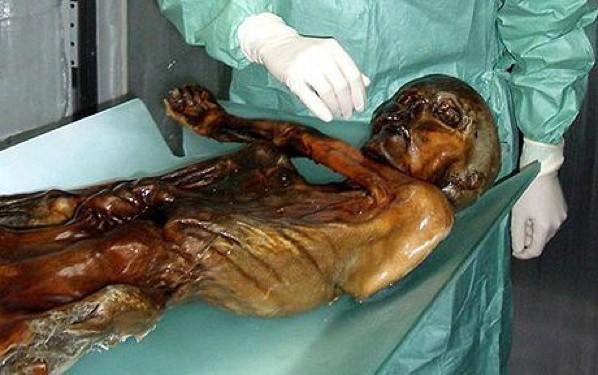 HERE ARE SOME PICTURES of the "Giants of Equador". 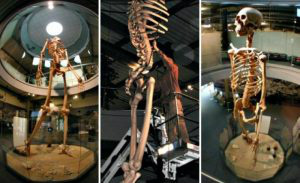 These skeletons are now on display in a museum in Equador. 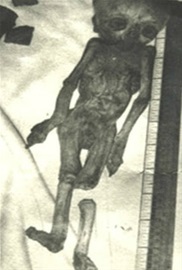 The skeleton is 7 times the height of a regular human. You run those number. It is impressive. Why have the Smithsonian Institute been hiding this for all these years ? 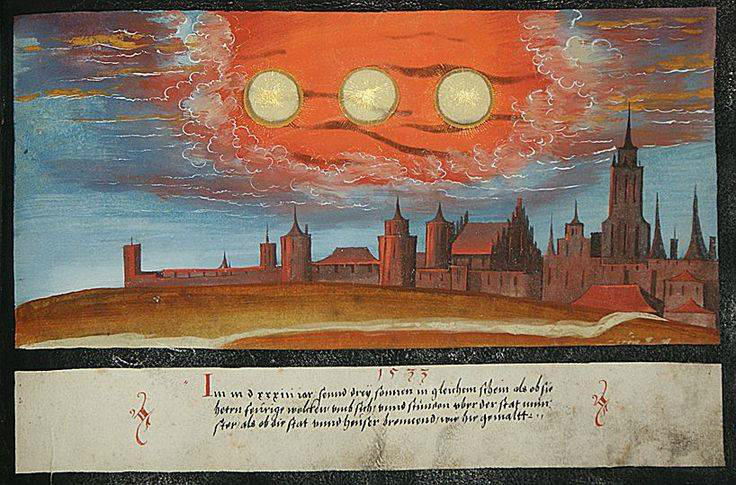 HERE IS A PAINTING of the 3 Suns that appeared over the City of Munster in Europe in 1533. 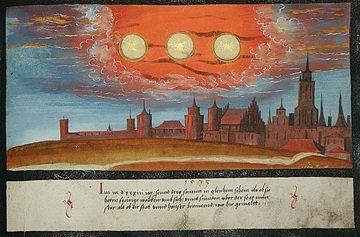 It is written up in the "Book of Miracles"
THIS IS TRAVELING IN STYLE. 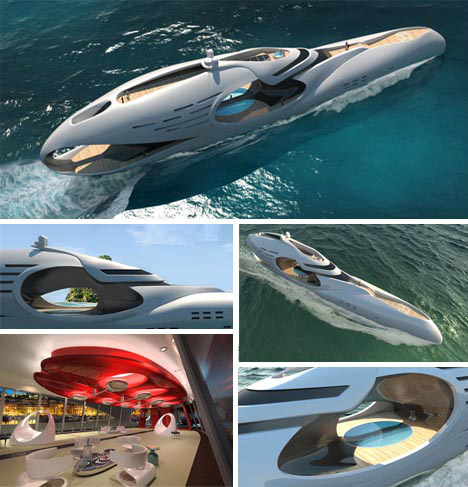 Call it a houseboat, yacht or anything you like. It is traveling in style.